Between September 1824 and late 1839 a small remote penal settlement was established at Moreton Bay on Australia’s north-eastern coast. After seven months, the initial encampment at Redcliffe was transferred seventeen miles along the Brisbane River, this site being the origin of Brisbane, the capital of the colony, and later, state of Queensland. The Bay had been known since Lieutenant James Cook, sailing New Holland’s eastern coastline in 1770, paid tribute to James Douglas, 14th Earl of Morton, the President of the Royal Society, when naming a stretch of water on the eastern side of sand islands to the north of Point Lookout. During the next fifty years Matthew Flinders, avoiding numerous shoals, traversed the waters to the west of these islands. Then in 1822 both John Bingle and William Edwardson also were exploring in the area. All these navigators missed any indication of a large river entering Moreton Bay. 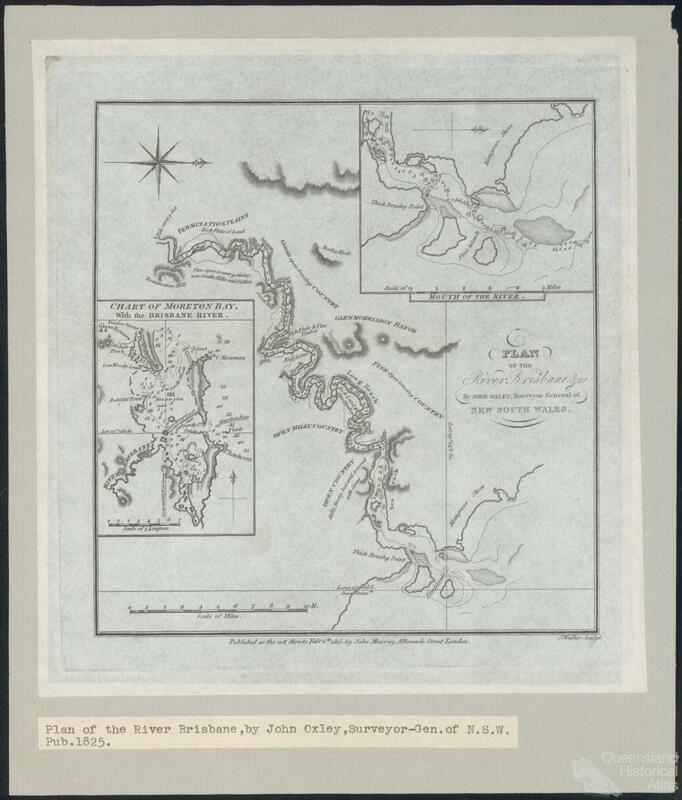 In October 1823, the Surveyor General, Lieutenant John Oxley, left Sydney in the Mermaid under orders from Governor Sir Thomas Brisbane to investigate three sites on the northern coast. In his 1822 report, Commissioner John Bigge had surmised that these might be suitable for penal colonies intended to isolate recidivists from the expanding free population of Sydney and its environs. After two weeks around Port Curtis and deciding not to visit Port Bowen (near Rockhampton), Oxley turned southwards making his way to Moreton Bay. 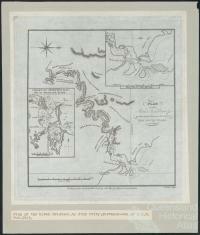 Guided by two former convicts now shipwrecked, Thomas Pamphlett and John Finnegan, Oxley investigated an expansive riverflow which he named for the governor. 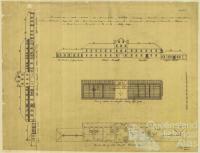 He recommended this district as the most appropriate situation for accommodating convicts. By now the name of the Bay had devolved into Moreton and the appellation had transferred to the sheltered landward waters between the islands and the mainland. Although only 6.25º latitude to the north of Port Jackson, depending on winds, the voyage to the northern settlement could take between four and fourteen days each way. The length of these journeys emphasised differences between headquarters and its latest outpost. 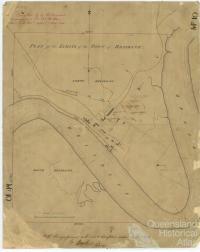 The town of Brisbane was more distant from the entrance to Moreton Bay than Parramatta was from Port Jackson heads. With the advent of the colonial era, the formerly untouched landscape was explored, mapped, defined, cleared, ploughed and built upon. Indigenous peoples were marginalised as British incomers adopted the traditional European practice of conquest and direct rule. Set in a normally sunburnt, sub-tropical climate where vegetation grew quickly and often impenetrably, reliance on usually abundant cereals and vegetables could be limited by intensely heavy rain, marked by frightening thunder and lightning, which might demolish crops and slab buildings in minutes. The precinct extended from the Amity pilot station and Dunwich buildings on Stradbroke Island westwards via the Cowpers Plains sheep, cattle and sawyer’s station and Redbank to Limestone about twenty-five miles from Brisbane Town. 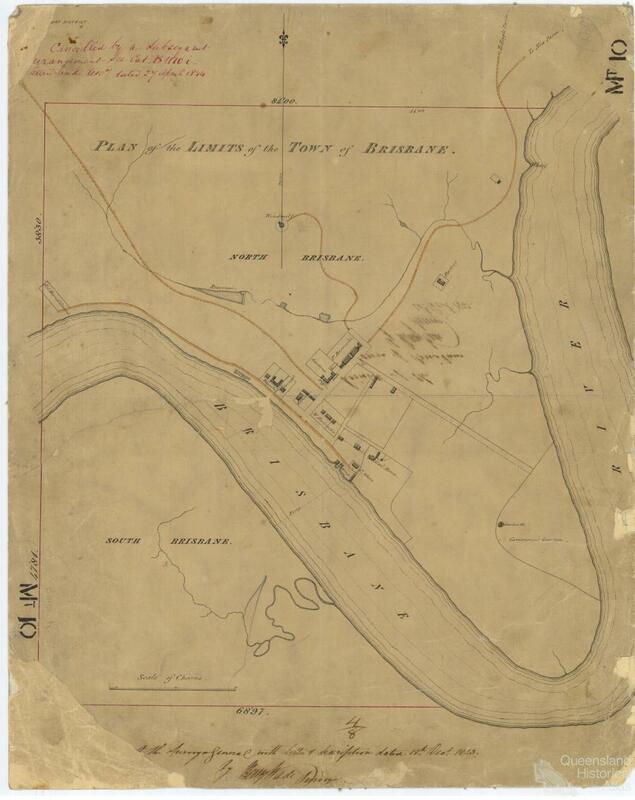 To the south, a military post established where the mountains almost touched the sea near Port Danger, thwarted many escapes while use of land in a northerly direction mainly was limited to the river bank plus the agricultural station at Eagle Farm. Later a proclamation prohibited wandering squatters from venturing within fifty miles of the penal settlement. 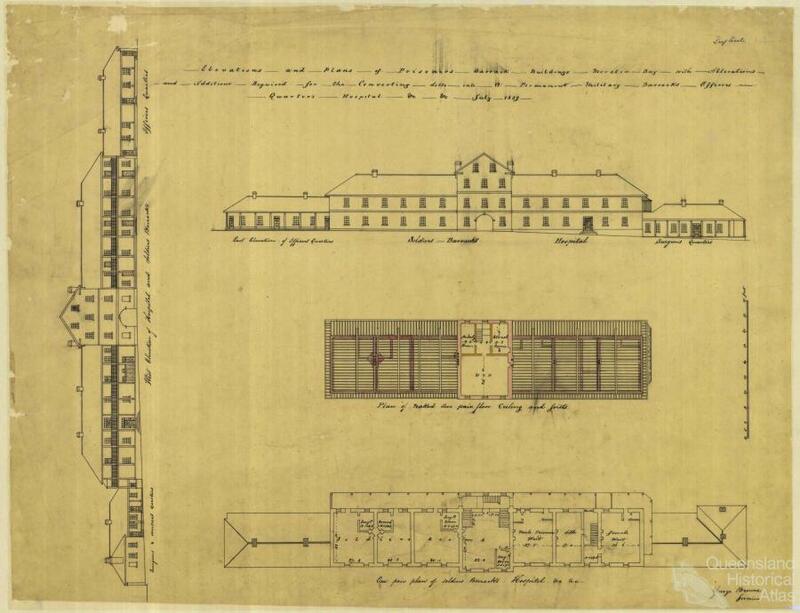 Initially less than sixty people built a depot which increasingly expanded to house additional convicts and small increments in their military guard. In the years to May 1839, when nearly all the settlement’s population was evacuated to Sydney, just over 2400 convicts, 800 soldiers and close to three dozen civilians had lived there. Some wives and children accompanied the administrators, military and prisoners but everyone was challenged by the remoteness and loneliness. The sense of isolation no doubt contributed to acts of cruelty which later were banished from emerging community memory except for local place-names which preserved both sponsors and agents. On 10 February 1842, three years after the penal colony officially closed, the district was proclaimed open to free settlers. New residents found a frontier town with vestiges of suburbs, basic government buildings, a network of roads and a navigable river. Ready access to expansive tracts of country more than compensated for any perceived lack of refinements. With the influx of pastoralists and house-holders with optimistic ideas of civilising their surroundings, another layer of history and culture was superimposed on the visible, but as yet unfamiliar, topography. In the twenty-first century only two buildings remain from the convict era: the Commissariat Store by the banks of the river and, on the western ridge, a tower used for punishment as a treadmill. One floor of the Store now displays Royal Historical Society of Queensland collections while the two others have reception rooms for regular meetings and lectures plus a library for researchers. The tower mill, on the other hand, is deserted and rarely visited by the public. These two convict relics vividly exemplify divisions in Brisbane’s cultural landscape: the active one representing a living realm of memory with the other withdrawing into the dead past of history.